Students will soon be able to take advantage of self-paced study at the main LTR office. 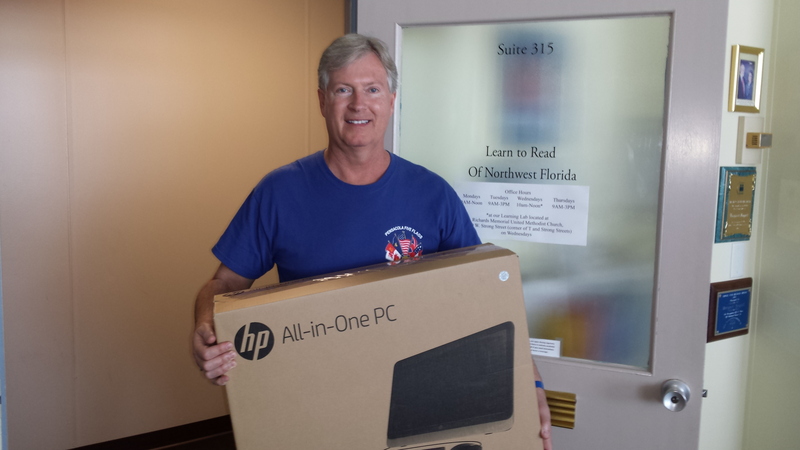 Jeff Nall, club president, delivered three new desktop computers along with unique software designed to help the struggling adult reader. These computers were part of a generous Rotary grant awarded to LTR last year which, along with the computers, brought hundreds of dollars worth of books. These books were written for readers at the 3rd to 8th grade level, but center around topics of interest to adults. The stories are meant to hold the readers interest so they can get extra practice, beyond their regular lessons.